Chelsea Palace Casino prepared a wonderful bonus every Friday of this October. 5, 12 and 19 are your favourite numbers here as every deposit of these days will bring you a bonus of 50% up to £100. Sign in and make the necessary payments to get this offer. Wager your deposit and bonus 40 times and withdraw up to 4x the bonus amount received. Keep your eyes on the bonus and your feet on the ground. 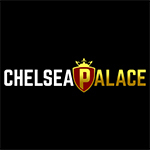 For your second deposit at Chelsea Palace Casino, you can claim a 100% bonus up to £250. Sign in on the website and make the mandatory deposit to receive it. This works on all the games you desire to play. The wagering requirements for the offer are of 40x the deposit and bonus amount. You can retrieve up to 4x the bonus amount given. This promotion is available only here! Chelsea Palace Casino knew you would come back for more. That’s why it prepared for you a matching bonus of 50% up to £500, you will receive on your third deposit. Log into your account and make a deposit greater than £10. Keep in mind it that the deposit plus the bonus amount need to be wagered 40 times prior to any withdrawals. The conversion from the bonus funds is limited to 4x. Grab this offer and be the one that conquered Chelsea Palace Casino!